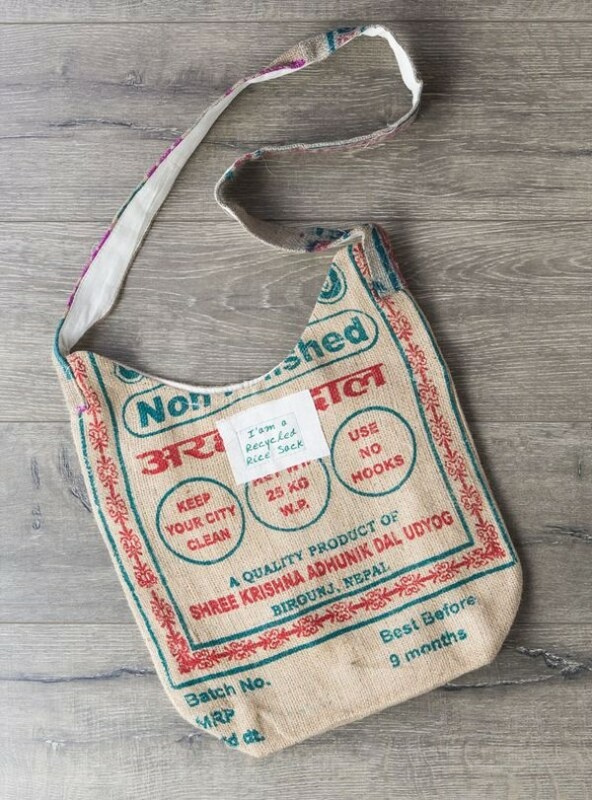 Recycled Rice Sacks Shoulder Bag, fair trade and made in India. 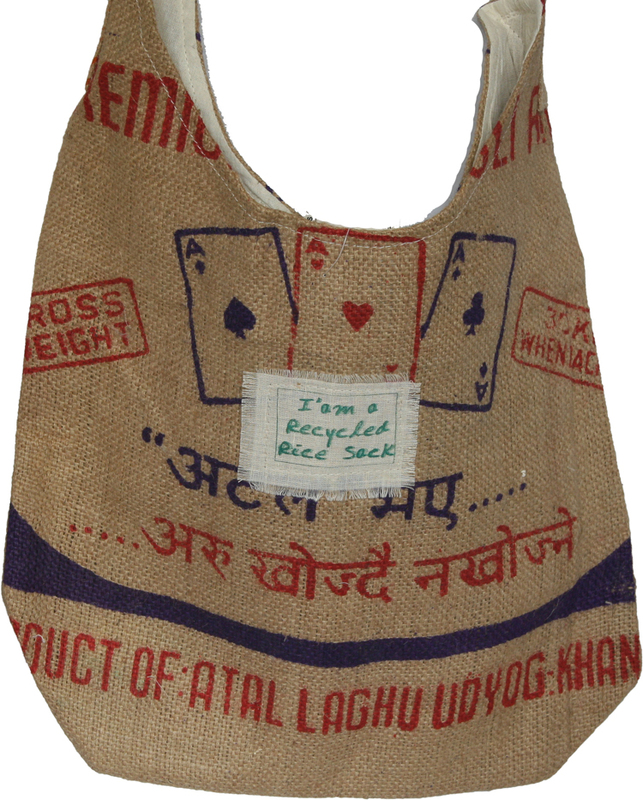 Since they are made from rice sacks in a previous life each back pack is unique and different so colours, text, motifs will vary. Also has a little label stitched stating is was a rice sack in a previous life. They are made by small scale producers, sometimes at home, and details are often hand sewn or hand printed. 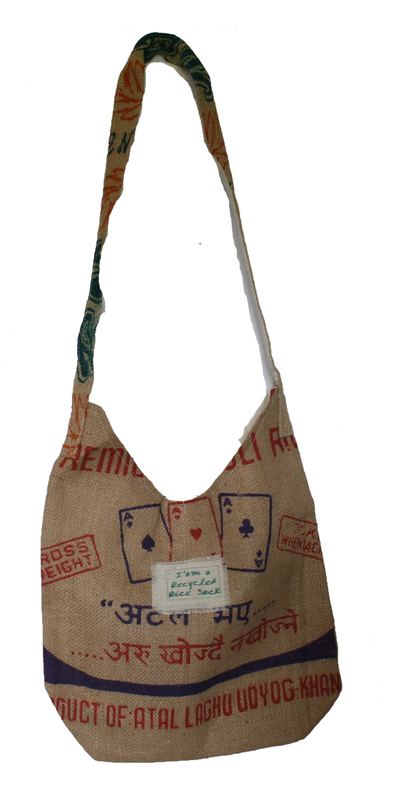 Non adjustable shoulder strap, with 1 inner zip pocket and zip that closes the top of the bag.